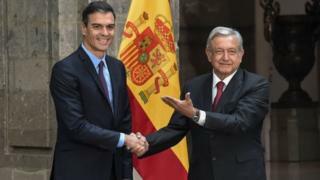 The Mexican president has sent a letter to Spain's King Felipe VI and Pope Francis, calling on them to apologize for human rights abuses committed during the conquest of the region. In a video filmed on the ruins of an ancient Mexican city, he called for a full account of the abuses. "The time has come to reconcile. But let us first ask for forgiveness," he said. López Obrador was effortless in his criticism of both Spain and the Vatican. "There were massacres and oppression. The so-called conquest was brought with the sword and the cross," he said. "They built their churches on the (natives) temples." Mexico has the world's second largest Roman Catholic population, after Brazil. The Government of Madrid responded quickly and rejected its request for apology. 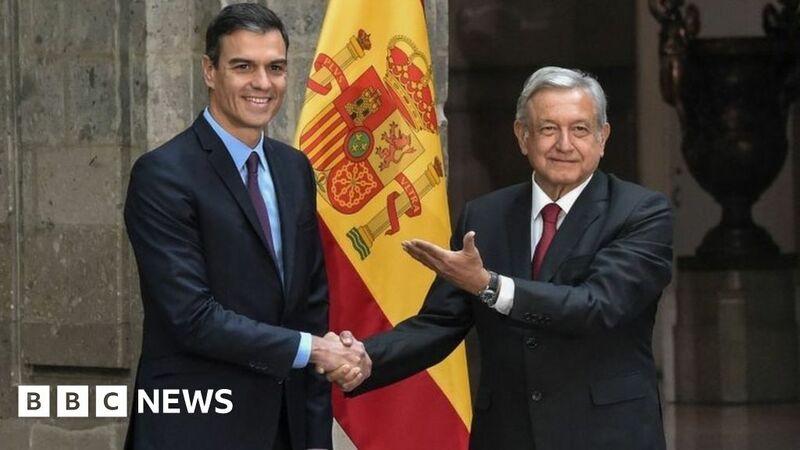 "The arrival of the Spaniards 500 years ago to present Mexican territory cannot be judged in the light of contemporary considerations," Spain said in a statement. "Our two-brother nations have always known how we read our common past without anger and with a constructive perspective." The Spanish conquest of America began with the arrival of an expedition led by Christopher Columbus in 1492. The Conquest of Mexico began when a small army led by Hernán Cortés landed in modern Veracruz state in 1519. The powerful aztec empire was eventually defeated and marked the beginning of 300 years of Spanish rule. Mexico became independent after a war that lasted from 1810 to 1821 and became a federal republic in 1824. López Obrador came to power in December with a left-wing agenda. Relations with Spain's center-left government have been friendly so far.